We take a random punt on Thy Vietnamese Eatery in Bankstown. 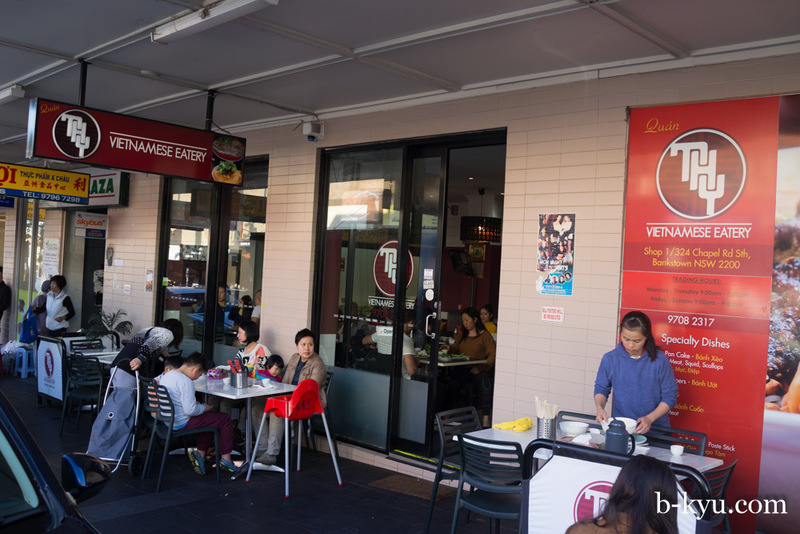 We haven't been to Bankstown for a while and we feel like going somewhere buzzy on a Saturday. 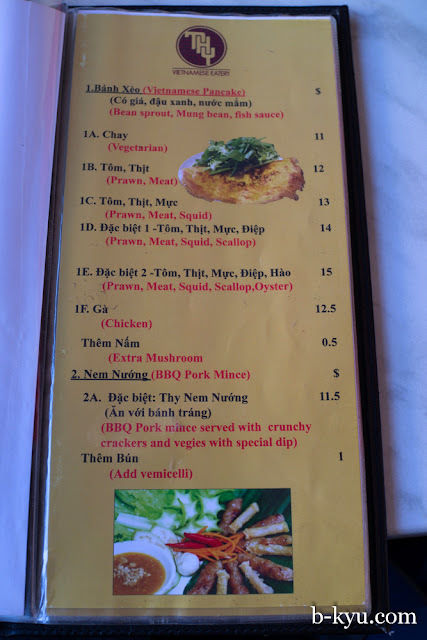 Something about Thy Vietnamese Eatery screamed 'come in!'. So we did. 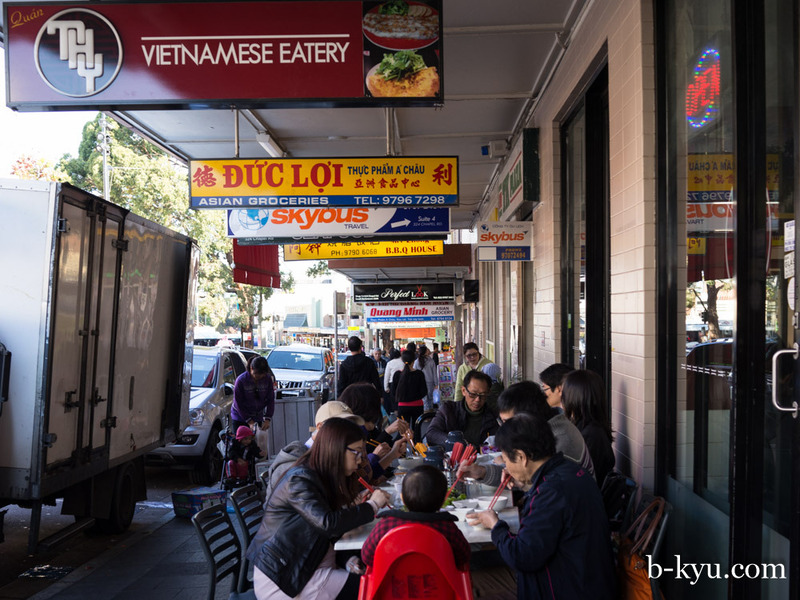 The place was full late in the afternoon, with both the inside and front tables full of families sharing plates laden with fresh salads and herbs and sharing banh xeo and banh cuon, the specialties of the place. We saw lots of folks with plates that looked like this. 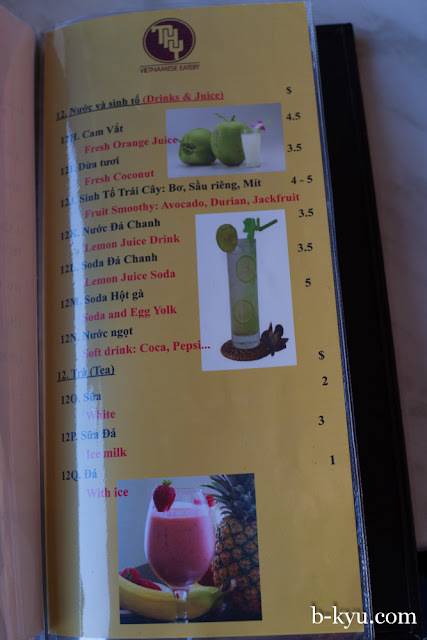 We'll have one those - No. 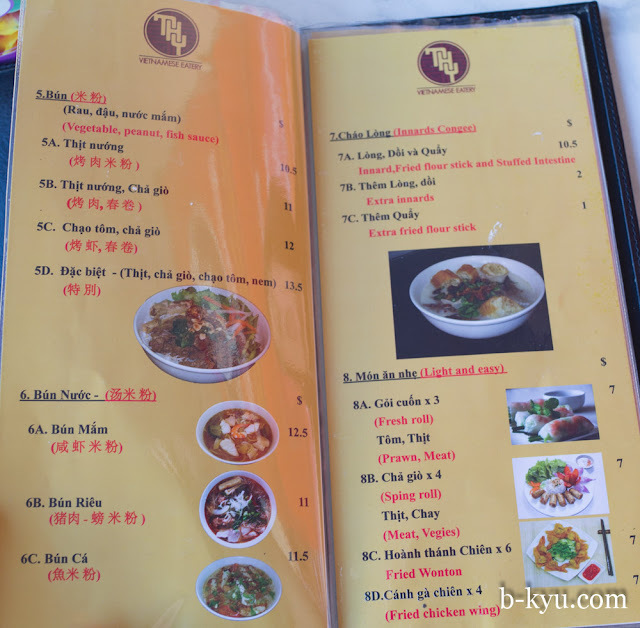 2A on the menu, BBQ pork mince served with crunchy crackers and vegies with special dip ($11.50). 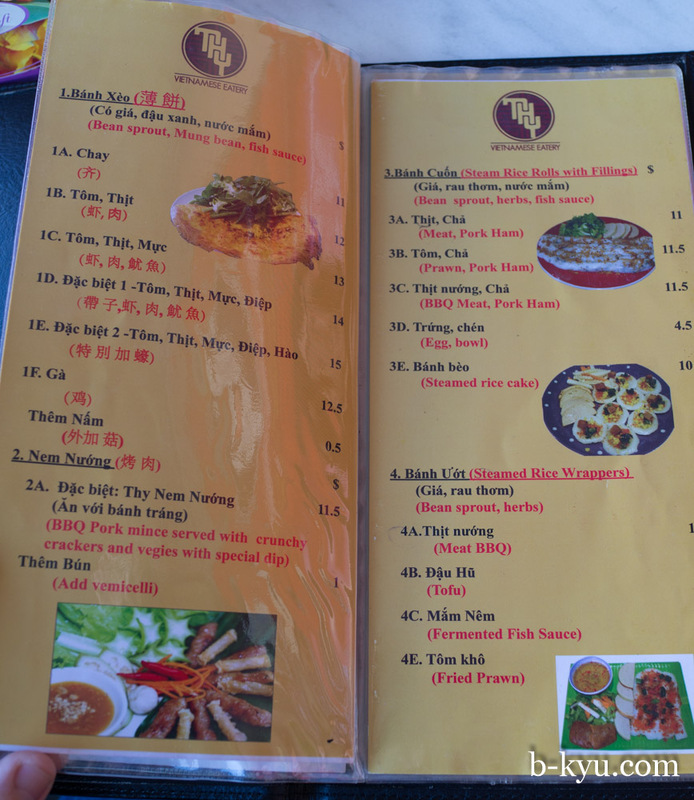 Which is fancy restaurant talk for 'roll your own bloody rice paper rolls'. 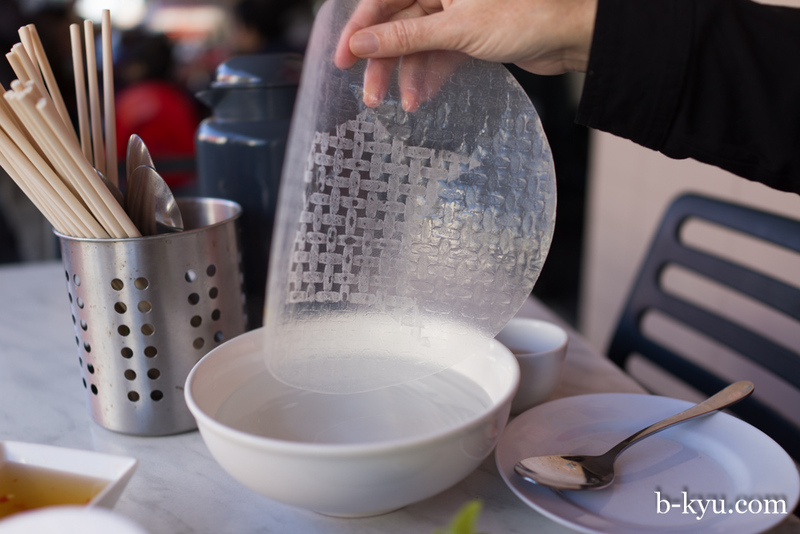 Soak each rice paper sheet in the bowl of hot water provided just before you roll it for optimum texture. Be careful not to make it too soft at first, it will continue to soften once dipped in the water and ideally be just pliable to roll up when ready. Here's one Alison prepared earlier. Get a little of everything in each roll. 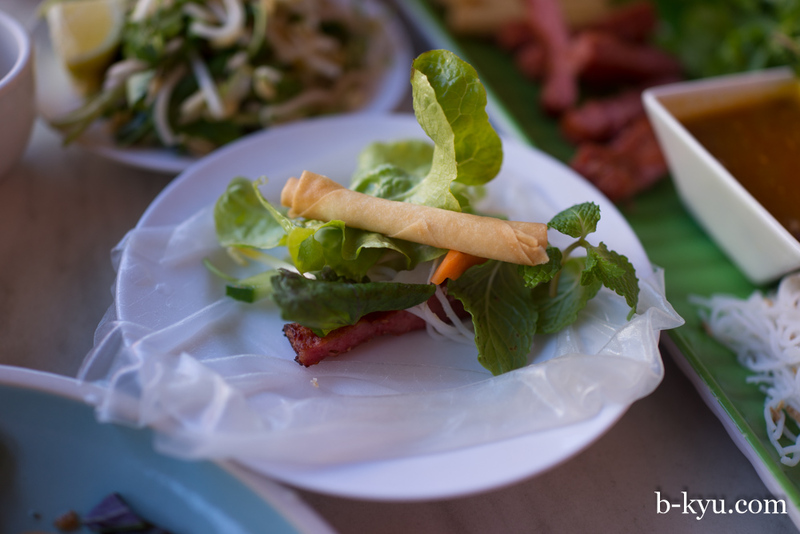 We loved the sheets of spring roll pastry just rolled up like cigarillos and deep fried with nothing inside, these would make a great beer snack or dipping stick. 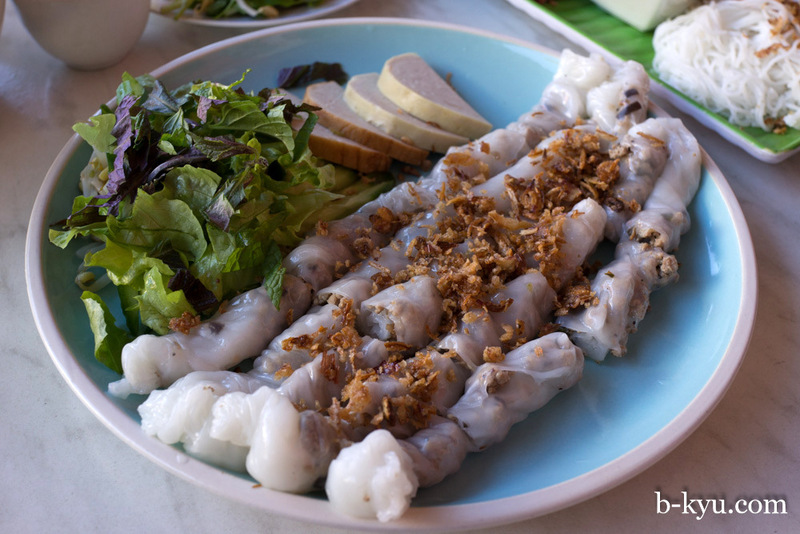 3A Banh cuon thjit cha - $11.50. Fresh wet rice paper rolls stuffed with minced beef. And some mystery sausage on the side, with a surprisingly good salad. 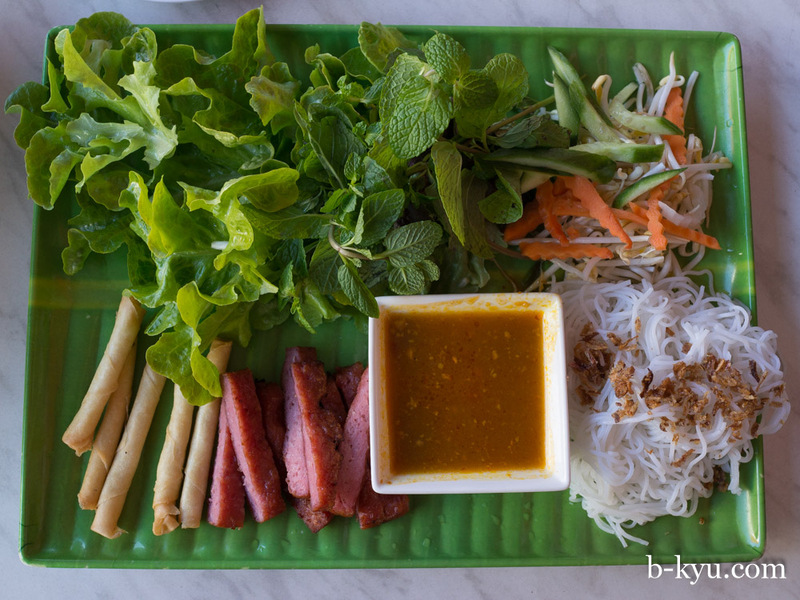 The beef mince in the rice paper rolls tastes plain, it's like a Vietnamese sausage roll. When you dunk the rolls in the supplied light sweet chilli sauce they go up a notch in flavour. 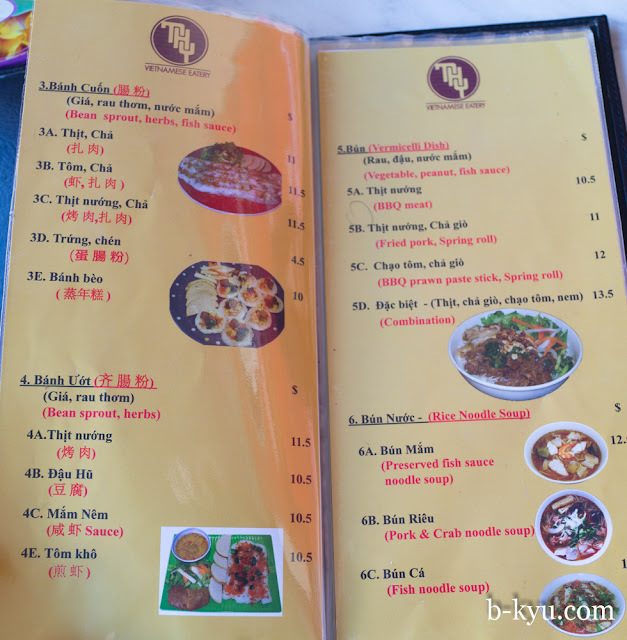 6A. Bun mam - preserved fish sauce noodle soup - $12.50. A thin broth with sweet funky fish notes, it's the George Clinton of noodle soups, except it smells like Asia. There's some pork, squid, fish and a bonus lucky prawn. 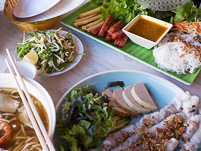 Fishy Vietnamese soups have become a firm favourite when we've burnt that candle at both ends, though a pho does the same trick. 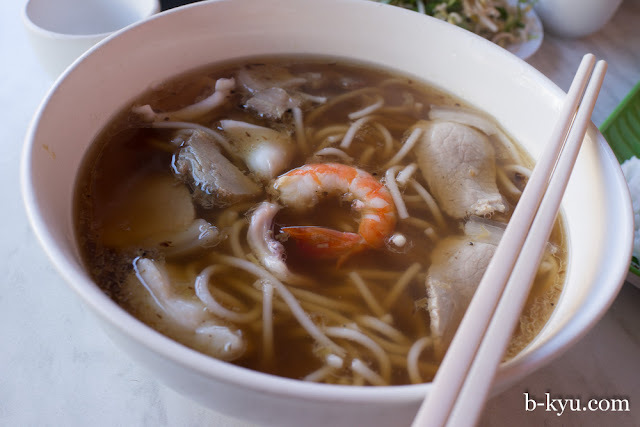 For similar kicks in Chinatown we head to Pho TK in Market City for the bun mama aka salty fish soup. Thy Vietnamese eatery is at shop 8/325 Chapel Road South, Bankstown. Phone 9708 2317. Very extensive menu - wierd that sme dishes are translated into Chinese characters and others into English. What's that about? 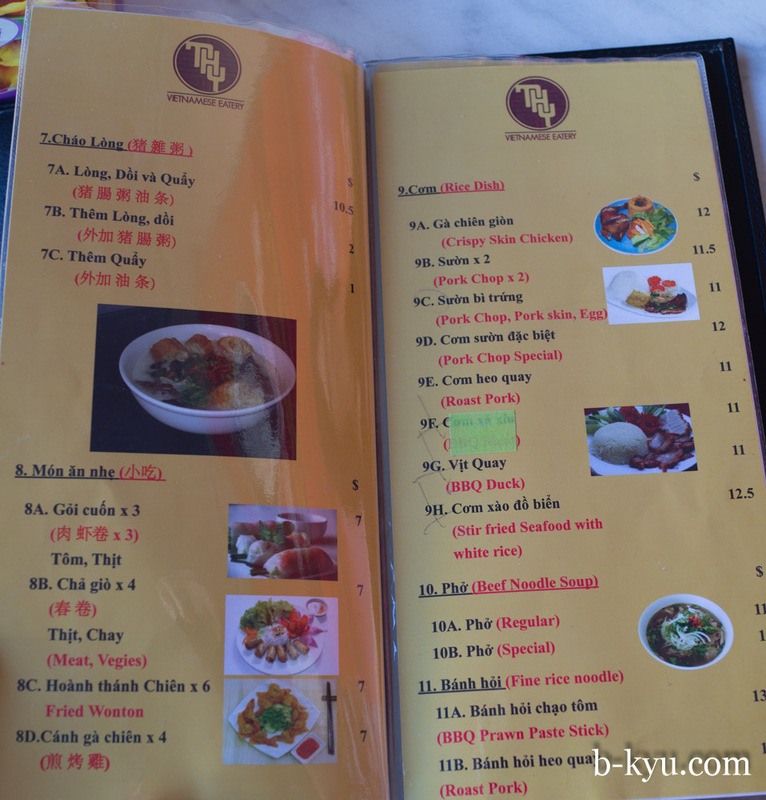 The menu is repeated over the page so you can read it in either Vietnamese or English or Vietnamese and Chinese. It was a little difficult to work out at first, but it certainly reflects the customers of the area. Interesting menu! 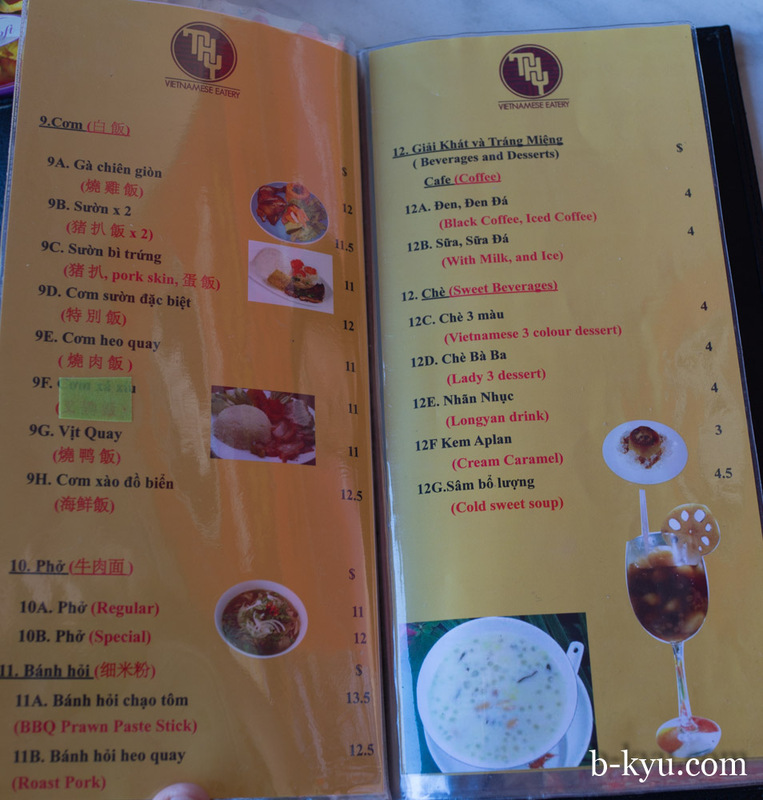 Love to have platter No. 2A with a bit of everything, like a sampler. Looks well balanced :)...Thanks for sharing the find! !